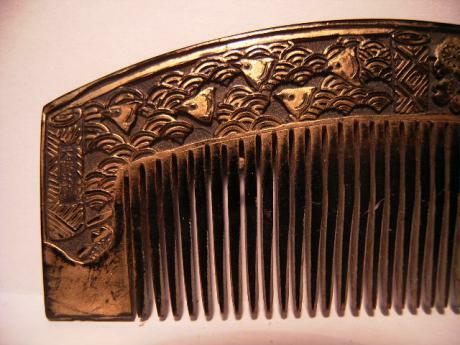 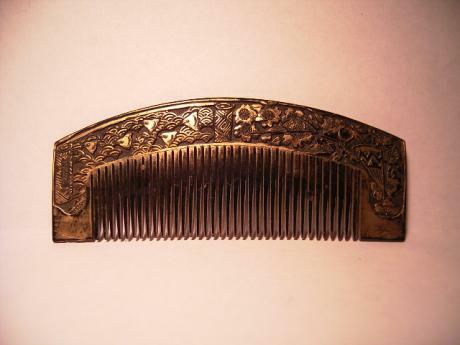 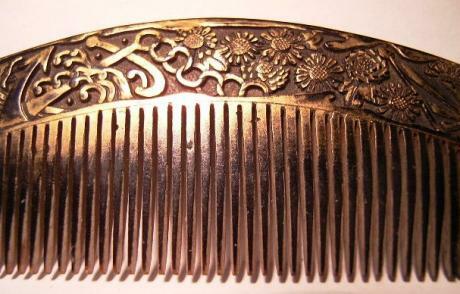 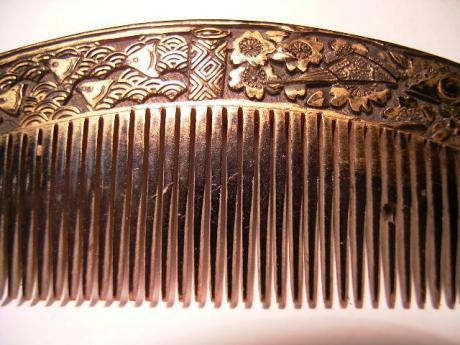 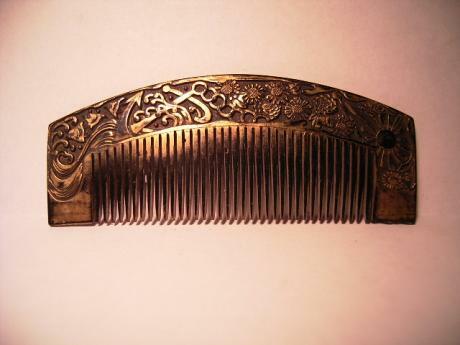 Description: Japanese early 20th century wooden comb with military design. 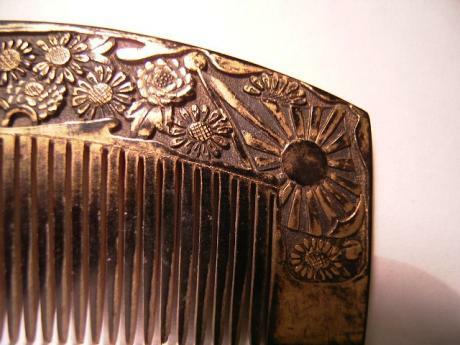 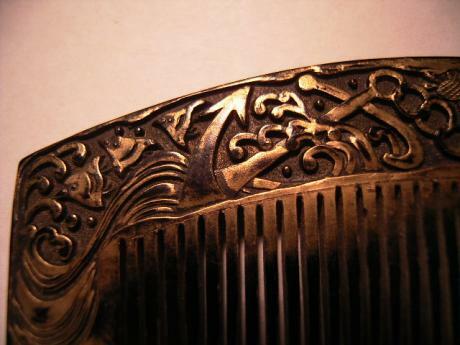 One side of the comb has a large ship anchor and a Japanese military flag amongst flying plovers and cherry blossoms. 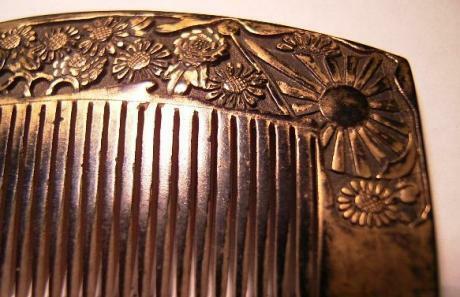 The reverse has a hand scroll of flying plovers and half opened fans against cherry blossoms. 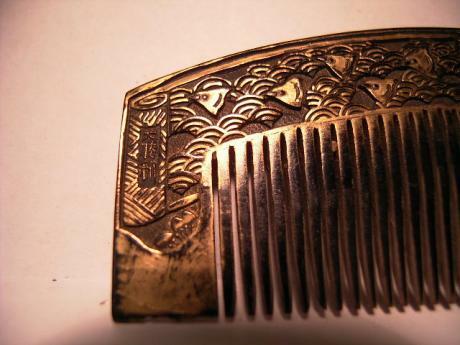 One fan has the Japanese flag and another has DAIKACHI, or big victory written on it. 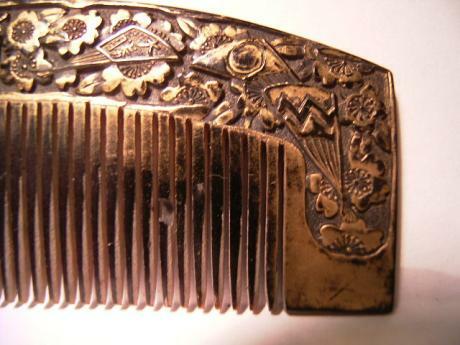 The comb measures 3 3/8" long and 1 3/8" tall. 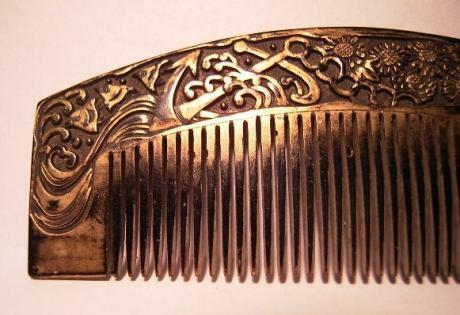 A highly unusual design for a comb. 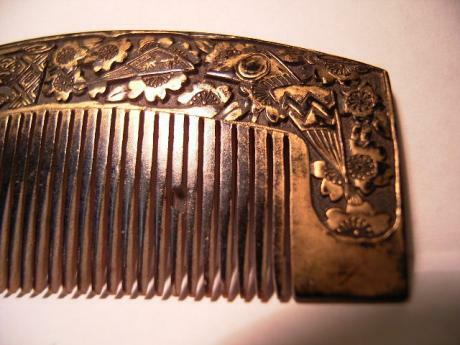 Rubbing to gold lacquer and some slight insect damage.